 » Sixth Class » You&apos;re currently reading "Ms Aivalikli’s Sixth Class"
September saw us focus on North America. 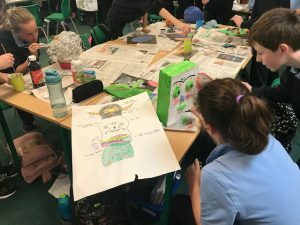 We looked at American History through the ages and analysed how colonisation tactics changed from the Native American’s to the American Civil War. We also challenged ourselves by learning the names and location of each American State, we loved playing the states quiz! 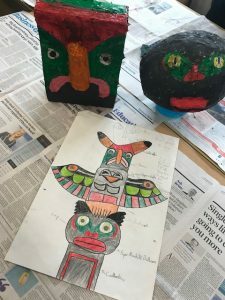 Our STEM project centred on Native American’s as we created 3D totem poles in groups. Our designs went from individual, paired to finally group plans. We were delighted to see our plans come to life. As we progressed from Native American History to the Civil Rights Movement our novel Roll of Thunder Hear My Cry has been very moving. We decided to base our September Assembly on the impact of civil rights activities. We sang ‘A Million Dreams’ to inspire others to believe in change. 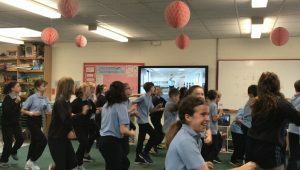 In P.E we enjoyed joining in with Joe Wicks, aka ‘The Body Coach’ and his initiative to get schools moving. We especially enjoyed when he gave our class a ‘shout out’ live on his YouTube channel. Lastly our Gaeilge topic in September was Mé Féin, we put together conversations and created short Scratch clips, in which we made our characters have a comhrá as Gaeilge! In October we’re looking at Georgian Dublin, we are especially looking forward to our tour of 14 Henrietta Street! We will be sure to write about it soon! News from Ms Hughes senior infants class. 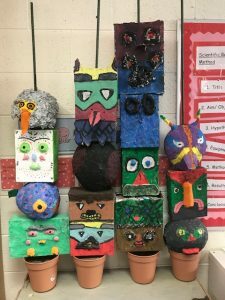 News from Ms. Dawson’s Second Class.